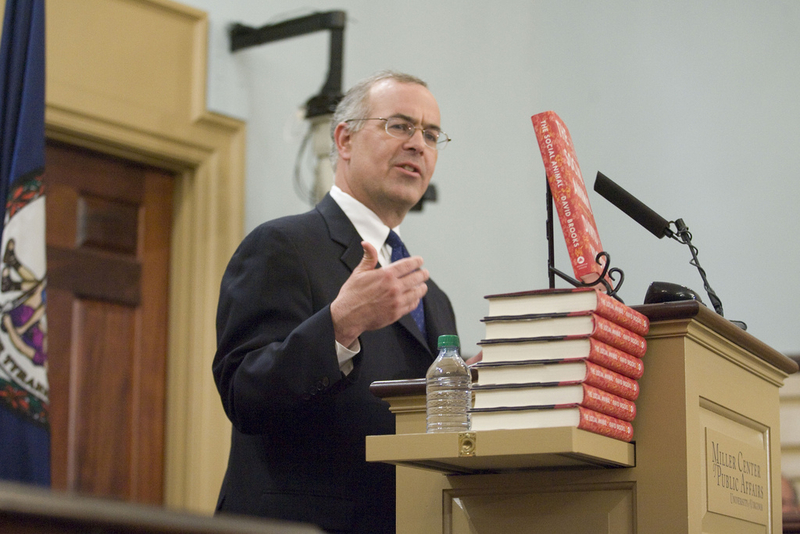 David Brooks has written two recent New York Times columns about the Millennial generation. I asked the students what change agents they had faith in. They almost always mentioned somebody local, decentralized and on the ground — teachers, community organizers...I came away from these conversations thinking that one big challenge for this generation is determining how to take good things that are happening on the local level and translate them to the national level, where the problems are. We have a lot of thriving cities and local communities, but we have no compelling center. We lack a unifying narrative to explain how a pluralistic people live into a common national life. We don't know how to take what's happening at the local level and make it work nationally....They understand from experience that the only way you can bring different groups together is by uniting them at a higher level. It would be great if, having found a way to create a narrative and a cohering ideal to unify their personal internal diversity, they could do the same for the nation. Maybe one reason that these "local, decentralized" leaders, projects, places and narratives are more successful than the national ones is that, as Hayek realized, knowledge travels more quickly and accurately in smaller and denser places than in larger places. Brooks has written columns in the past that recognize this point — on health care, for example, he expressed skepticism that the national approach of ObamaCare was a better approach than the state-by-state approach represented by RomneyCare in Massachusetts. My point is that it's not a sheer coincidence that local decentralized things work better than Washington, D.C. does. Brooks has incentives to want action at the national level — he lives in Washington and works for a national newspaper. But maybe a better approach than trying to get our national politics working as well as our smaller community politics is to recognize that a lot of functions — not nuclear warfare or civil rights enforcement, necessarily, but a lot of other functions — are just better handled locally, where they can be adjusted or tailored to accommodate local circumstances. That's not a call for disbanding the United States the way, say, the Soviet Union broke up. But maybe the Millennials are correct to be skeptical of centralized, command and control planning operations led from distant capitals.